Satin Robe - Elegant. Glamorous. Luxurious. These are all words that describe how a woman should look and feel in any satin sleepwear that she chooses to wear. From the do's and dont’s of a fabulous fit to choosing the best satin styles, it’s easy to enjoy this glamorous style with the fundamentals are in place. Read on and discover what to avoid for a beautiful sleep wear look. Any robe that you choose should be flowing and blouse-like, effortlessly draping over your curves and allowing you enough room to lounge and move freely. A robe that’s too tight usually doesn't close properly (not a great look) and tends to accentuate every lump and bump, with a pulled look that more often than not makes you look larger than you really are. The Solution - women’s robes that fit properly and allow you to move about effortlessly and comfortably. The opposite problem is true as well - choosing a robe that’s too big results in a look that’s so voluminous that you get lost in the fabric. 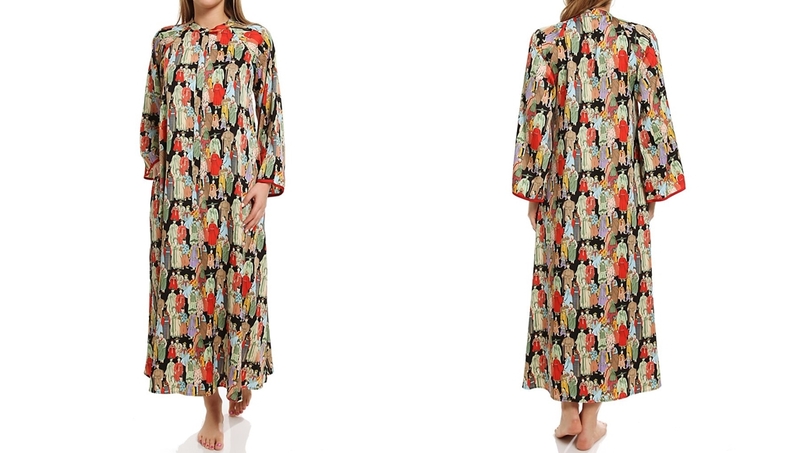 Ladies robes that are too large will tend to overwhelm your silhouette, and feel cumbersome to wear. Robes should flatter and compliment your body, not hide it in too much material and overpower your curves. 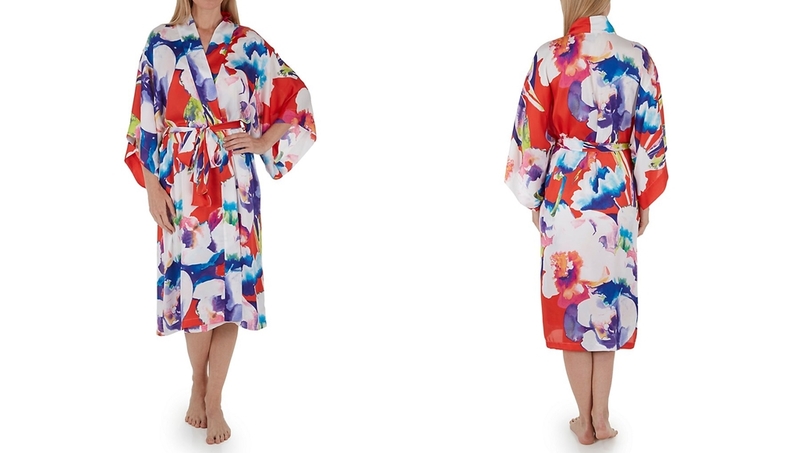 The Solution - If the robe is hanging off your shoulders or you have to wrap it around too much, consider sizing down to get a more tailored fit. Satin can be sumptuous and luxurious, but choosing a fabric that’s of lesser quality may irritate sensitive skin. Look for better quality satin instead of scratchy or too-shiny fabrics that will cheapen the overall look of your sleepwear ensemble. Popular satin robes often take their inspiration from the glamorous styles of 1930’s and 40’s. These classic long robes often come with a “sweetheart” style neckline that is form fitted across the bodice, and typically fall elegantly in an A line shape. Like any beautiful lingerie, satin should be treated with care so that it looks as good as the day you bought it. Throwing it into the laundry hamper and into the regular wash cycle will quickly cause it to pill and fade, and potentially snag the fabric. The Solution - hand wash or place it in a mesh bag on a delicate cycle with detergent that's made specially for intimate apparel fabrics. 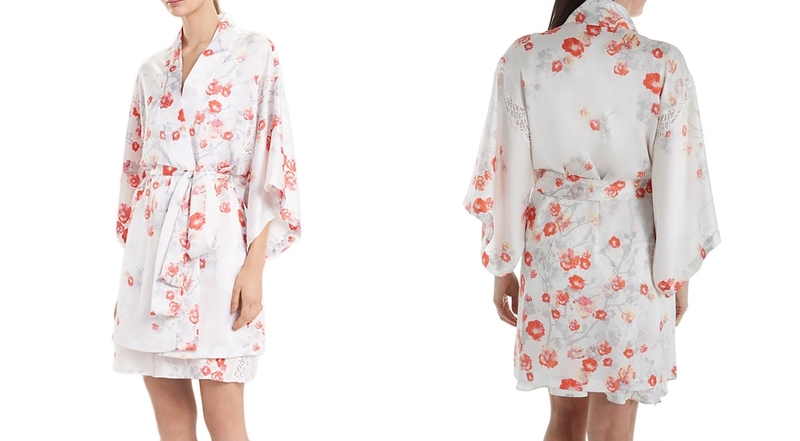 Sure, a silk or satin robe is the perfect compliment to your other intimate apparel, but that’s no reason to reserve it for special occasions. 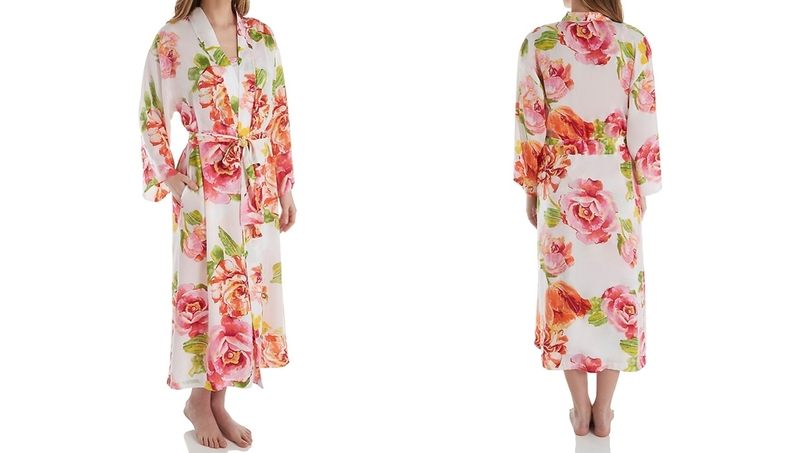 Luxury robes worn casually over a cotton nightgown or simple pajamas are a beautiful look. The Solution - A satin robe adds a touch of elegance and style to any sleepwear, no matter how simple. Enjoy wearing it any day of the week and get as much pleasure as possible out of this beautiful style. Another wonderful complement to a satin robe are satin pajamas that are inspired by classic menswear designs. Slip into a pair for a ultra glamorous look. Whether you favor a romantically whimsical, minimalist, or classically feminine look, a satin robe can work for virtually any style. How? The secret is in choosing the best style for your personality. There are lots of options when it comes to satin sleepwear styles and one of the most important mistakes to avoid are styles that don’t work for your body type. Try several styles before committing to a style that's flattering and that you can enjoy for many years to come.